There weren’t any jobs. Nobody came to NDSU in early 1972 looking for engineering graduates. Well, the CIA was looking, and I talked to them, but they decided I wasn’t cut out for that business. I had a brand new degree in electrical engineering and nobody wanted me. The lack of job opportunities drove me to one of the best decisions of my life. I applied for and received a scholarship to go on to graduate school. It wasn’t much of a decision: unemployment or a full ride to graduate school. The job market totally turned around in the next year. 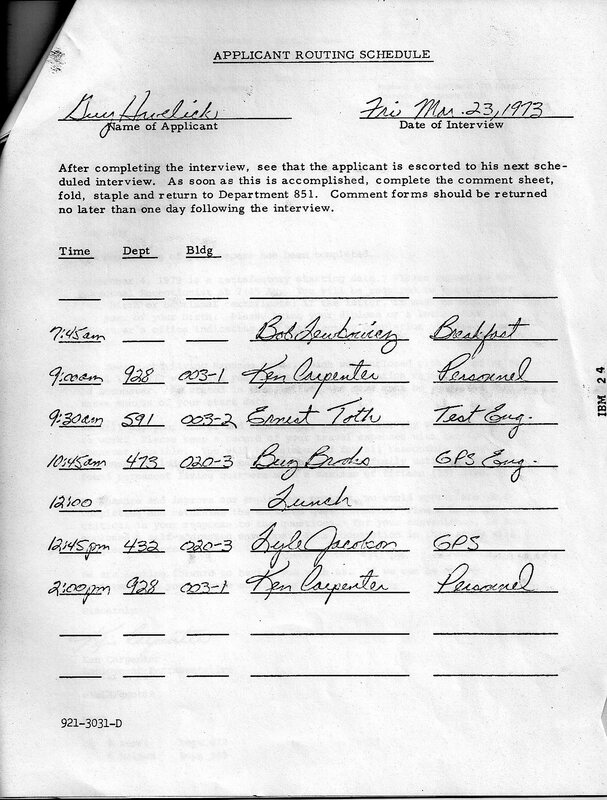 By the spring of 1973 there were dozens of companies interviewing on campus, looking for freshly minted electrical engineers. I was a candidate for a Master’s of Electrical Engineering, and had a good GPA, which made getting interviews and site visits relatively easy. Many of the companies I talked to don’t exist any more. Who remembers Collins Radio in Cedar Rapids, Iowa? They didn’t make me an offer, which was probably a good thing. A company in Boston did make an intriguing offer. The Route 128 area was rich with dozens of startup companies. But it was too far from home, and the cost of living was far higher than the Midwest jobs I was looking at. Let’s stay in the Midwest, eh? It’s all about who you know. My friend’s mother Adeline knew the people at White Drug, and she knew that I desperately needed money for college. I don’t remember who she talked to, but they gave me jobs during all the breaks throughout my freshman year of college. Some of the skills I learned ended up being useful, others not as much. One week I worked in the pharmacy. They had only one job for me. Count pills. Hundreds. Thousands of pills. Put them into jars of 100 each. Using a little tray, I’d count by fives. Five … ten … fifteen … all the way to a hundred. Put a lid on the jar. Repeat until lunch. Once again, I learned that my choice of an engineering career matched my personality. Another week I worked in the general merchandise part of the store. Right after Christmas Day it was time to clear the holiday aisle for the new things. White’s sold a myriad of types of Christmas light bulbs. Tiny ones. Small ones for tree decorations. Larger ones to use along the roof. Red ones. Blue bulbs. Green. Every color, every size. These were the days before plastic bubble packs; all the bulbs were loose. Just pick out the few that met your needs and pay the lady. Thank you. My job was to collect all the light bulbs into one large box and move them to storage. It was a huge box. Maybe a cubic yard? Three feet on a side, but light bulbs are light, so it wasn’t a big deal. Except for the little stumble I took going down the stairs. I dropped the box.